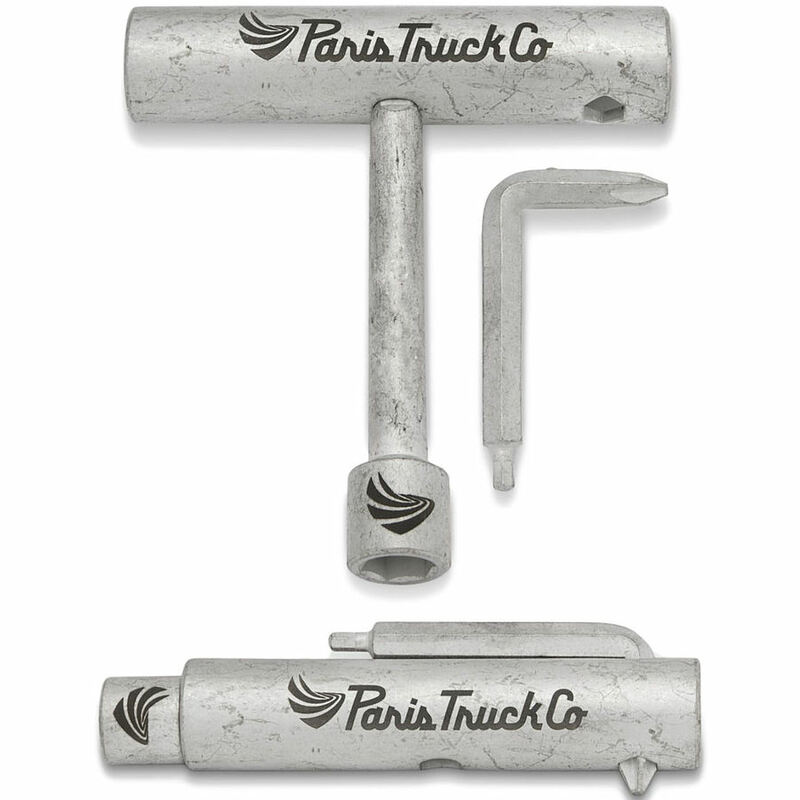 5	stars -	"Review for Paris Trucks Co Skate Tool" Mark Taylor This Paris Trucks Co Skate Tool is the best Accessories Skate I have tried. Best skate tool ever! Small and compact, yet extremely durable, the Paris Skate Tool is all you need to set up a board or make those necessary adjustments. The extra deep sockets fit over the longest kingpins and mounting hardware out there. The double sided philips/allen screw driver clicks into place on the top of the tool so you won't lose it, and stops your bearing shields from being crushed when changing wheels. Best of all, broken down it can easily be stashed while skating. Designed by skaters, for skaters.